Support for cloud storages, Chromecast and GIF etc. But first, what is a Stock Gallery app? 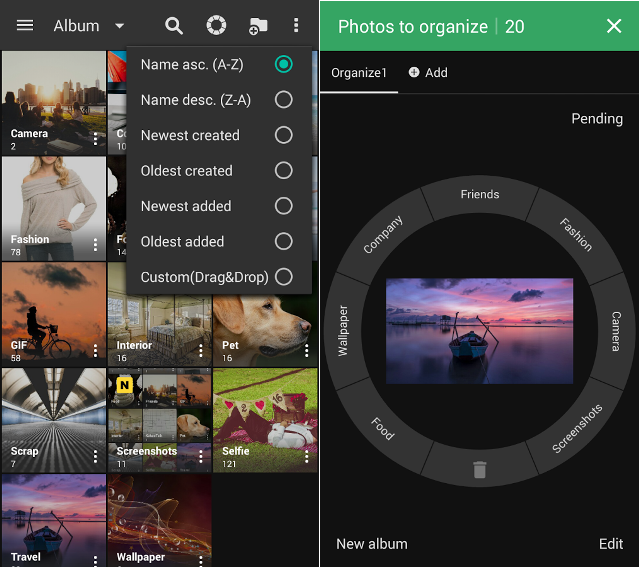 Well, after Android 5.0 Lollipop update, Google has ditched the AOSP Gallery app in favor of its new ‘Google Photos’ App. So, if you bought a new smartphone that runs stock Android (like Pixel, Nexus or Motorola etc) then you’ll have ‘Photos app’ as your default gallery app. However, some Chinese smartphone doesn’t always come with ‘Photos’ app pre-installed, they might have their own app version of ‘Gallery‘ app and sometimes no gallery app at all. But fret not, if you don’t like the default ‘Photo app’ or if there isn’t any pre-installed gallery app; well then, you can always download a good 3rd party Gallery app from the Play Store. Plus you also get advanced features like hiding images, cloud backup, GIF support etc. 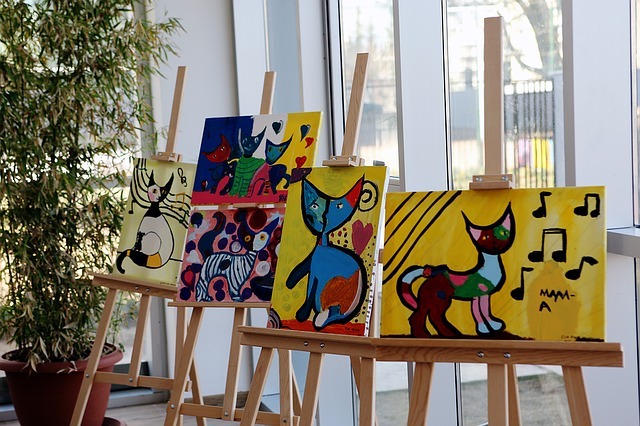 So, let’s take a look at some of the best Gallery app you can get on Android. 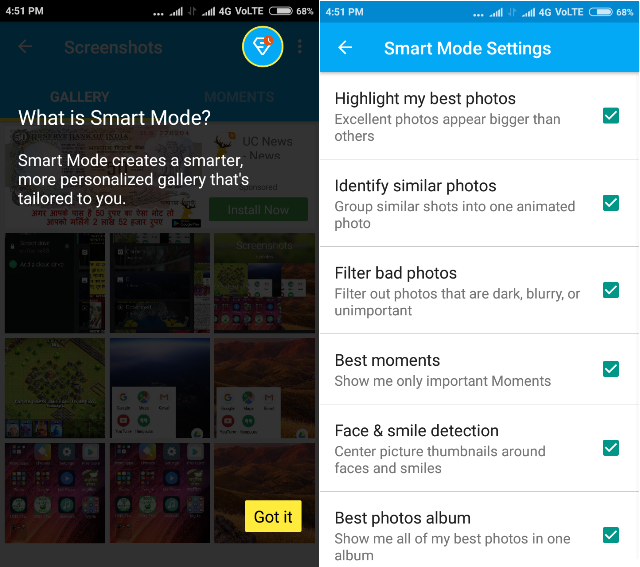 This app looks pretty ordinary at the first glance but it packs some really good features like – Smart Mode which creates a more personalized gallery, it highlights the best photos and then makes them appear bigger than the others. It has moments view which is actually a collage view of images. 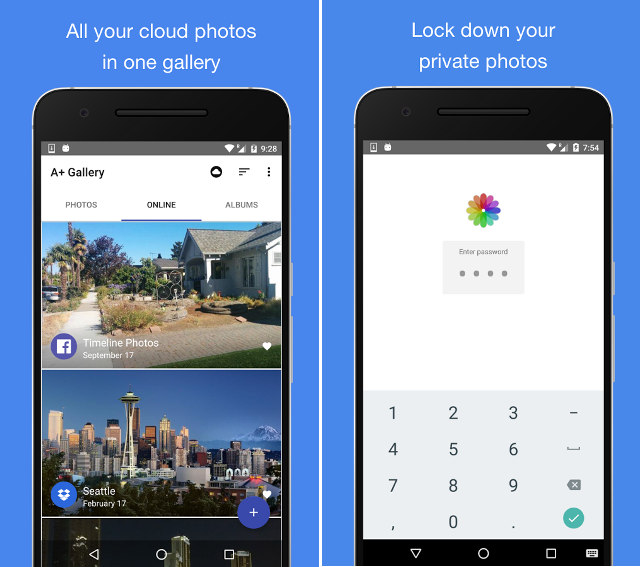 Gallery app connects to Google Photos server and even offers 50GB of cloud storage. The free version of this app contains popup-ads and to remove them, you have to make an in-app purchase of few dollars. Piktures is one of the most beautiful gallery apps and features some useful gestures like swiping left will take you to the albums and swiping right provides the ability to apply filters and tags. This app also has a calendar view, which shows images in the calendar, a particular image for a particular date. It even has a Secret Drive which can be used to store more personal media, encrypted by a protective pin. 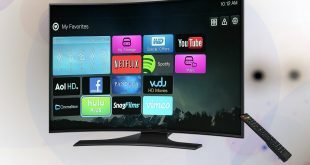 Other features include support for Chromecast and GIF ability to view media stored in the cloud. A+ Gallery tries to give Android an iOS-Styled photo manager. It comes with Photo mode sorted by year, month or day. 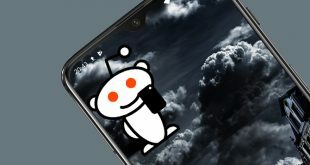 It also has cloud support which lets you backup photos to DropBox and can even connect Facebook to showcase your Facebook albums. It also features a color-based search which lets you find pictures with, particularly dominant color. Other features include a Secure Vault, which can be used to store personal images with a passcode. The free version has some limited features, you can unlock more by making an in-app purchase of few dollars. Google Photos is the most advanced gallery of all and most probably it is already installed on your phone. This app automatically identifies faces and can even sort images according to them. It can create collages, animation, movies, and albums. It categorizes images according to common things, peoples and places. 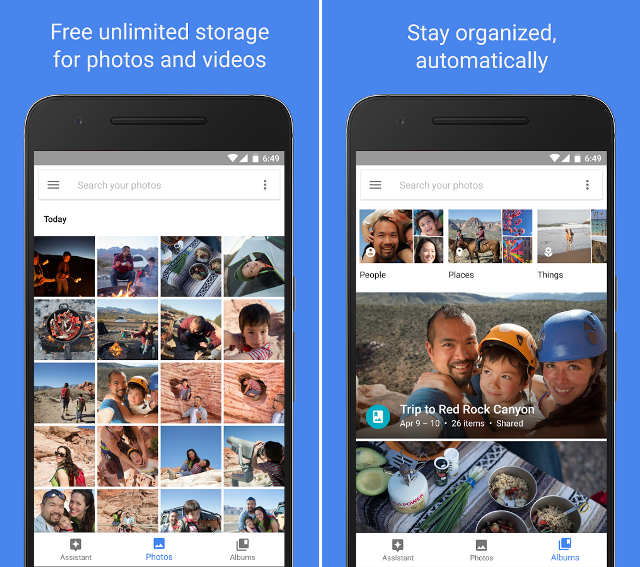 App offers unlimited storage of high-quality images on Google Photos server. Even if you uninstall Google photos, it’ll still backup your images, which can be both a good or bad thing depending on the circumstances. However, Google Photos is defiantly not the best gallery app when it comes to browsing pictures from local storage. Therefore, let the Google Photos app handle the backup and use some third party app for viewing your device folder. If you are looking for gallery app with Google photo integration, try Gallery. The FOTO Gallery app is the best photo organizing app out of the lot. It offers a circular interface, showing an image in the center one by one and you just have to tap on the album name to send it to the respective album. The free version of the app is ad free but features in that are limited, so to get features like password protection etc, you have to purchase the Premium version which costs few dollars. 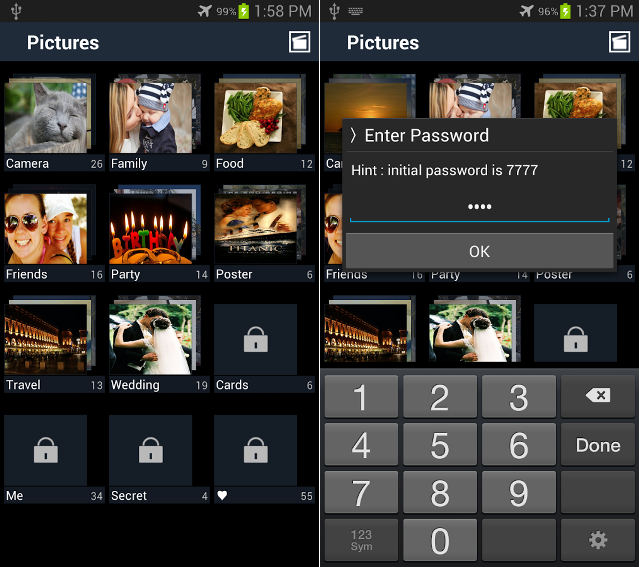 Secure Gallery app looks like a normal gallery app but it packs advanced security options. It focuses more on privacy and security. 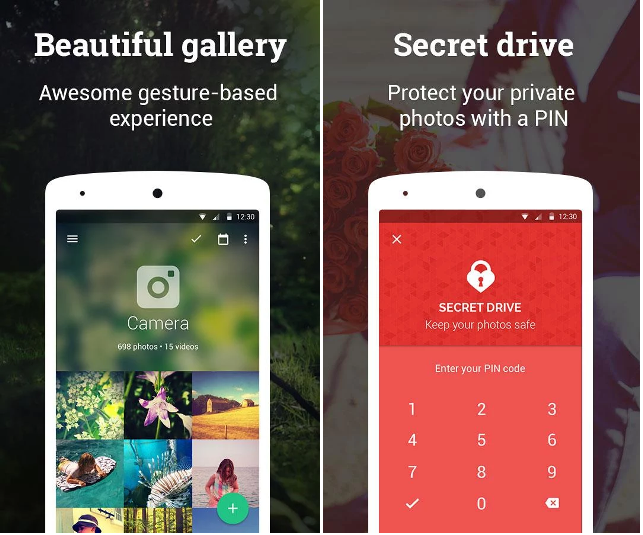 You can hide images and videos using this app and encrypt them using a fingerprint. This app has a Stealth Mode which hides the app icon from the app drawer and to access the app, you have to dial “#0000” from your phone’s dialer. 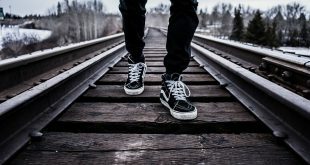 Cluttr advertises itself as the replacement for the QuickPic — a popular gallery app which was acquired by Cheetah Mobile group, who apparently don’t have a good reputation as they were caught stealing user’s data. 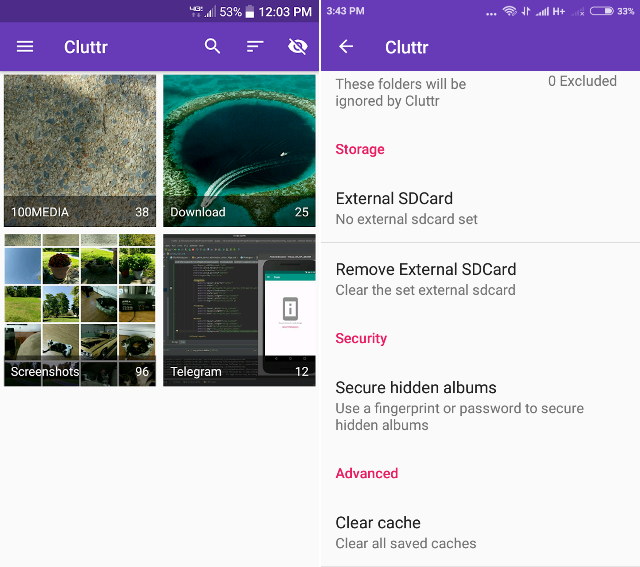 Cluttr is still an unreleased app but it offers Clean and Fast UI and offers a feature to secure hidden albums using a password or fingerprint authentication. You cannot hide a single image or video, it only hides albums. So, for hiding a single media, just create a new album, put that media in that album and hide it. If you want privacy then try the Secure Gallery app, if you like to organize then try the FOTO Gallery app, and if you want all in one app, with no ads, go for Piktures. Let me know which one is your favourite in the comments or if have any other suggestions for gallery app other than these.